Along with the other perspectives offered in this special issue, people tasked with actually implementing and working with single-use, stainless-steel, or the more common variations of hybrid systems deserve a say also. When seeking out end-user comments, however, we should consider both the overall company decisions about which systems to use (decisions that may not have accommodated much input from the manufacturing floor) and opinions from individual scientists, technicians, and process engineers themselves who are presented with the facility design and expected to make it work. For this perspective, BPI circulated several questions among some industry contacts and also sought out informal responses through email and during discussions at the recent BPI Conference in Boston, MA (26–30 October 2015). One insight gleaned from these conversations is that progress being made in materials and standards for use of disposables is not being consistently communicated to end users. Some attitudes regarding suitability of single-use components may require more purposeful updating on the part of the technology’s proponents. A major example of that might involve the reluctance of some users to trust in the handleability and robustness of bags over a certain size — usually mentioned to be 500–1,000 L. Yet several suppliers are introducing (or have introduced) innovative ergonomic approaches and specialized equipment for working with large bags. 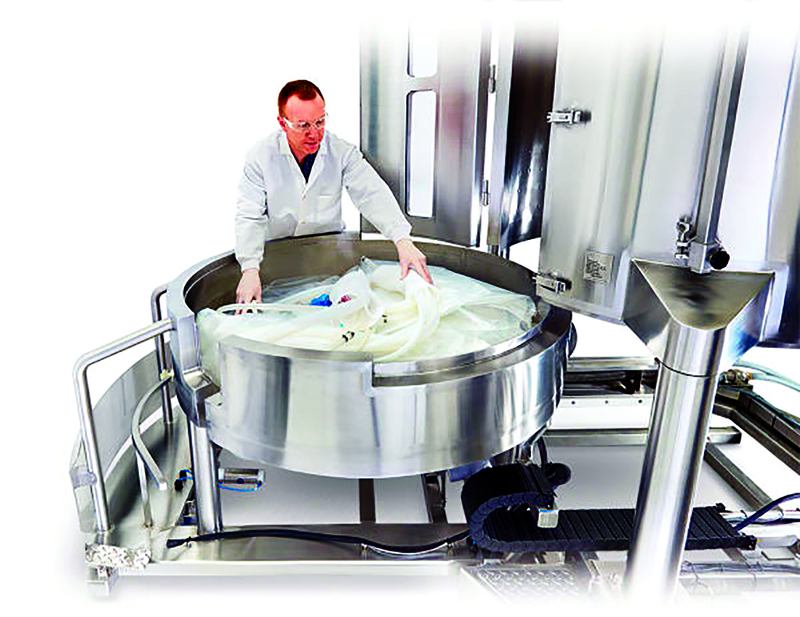 The biopharmaceutical industry’s greater historical comfort with fixed, reusable steel tanks still carries a greater comfort level among technicians especially, but the options available for introducing single-use elements into bioprocessing may encompass greater reliability now than even just two or three years ago. This brief summary of key user comments and caveats is a relatively anecdotal discussion. It is also focused on the perceptions about the ideal balance of single-use and stainless steel rather than on details of implementation overall. Perhaps more BPI readers will be prompted to weigh in with additional comments for inclusion in BPI’s March 2016 supplement covering single-use technology more broadly. Process engineers stress the need for increased familiarity with single-use equipment, testing requirements, and component interchangeability. They want assurance of maintaining equivalency/comparability across scales, and they need manufacturing technicians to be comfortable with handling processes. Within these constraints, however, assumptions about real and perceived limitations may in some cases still lag behind recent improvements in single-use offerings. For example, we asked a number of people what disposable products are most popular (and why), and in what areas reusables still hold sway. Although the answers are company- and process-specific, and although single-use technology is still seen more commonly in upstream processing, differences remain in how companies decide to incorporate disposable components. One production manager noted that “bulk solution transport (buffer, media) and small-scale bioreactors are most viable for single use. Anything over 750 L has proven to be problematic and has tended to remain in stainless steel.” Another mentioned that his own view was “limited to commercial and late-stage clinical production” but stated that “we currently use all stainless-steel equipment for culture, product, and preparation vessels, but we do use disposables for media and buffer storage.” So although many companies incorporate single-use equipment in upstream steps, stainless steel has not vanished from those early stages at all. And yet some suppliers are addressing such handling issues with creative designs. On a recent tour of the FlexFactory set-up at GE Healthcare’s Xcellerex facility in Marlborough, MA, I saw a 2,000-L bioreactor with a winch apparatus for bag loading and unloading (Photo 2). And I also watched a new bioreactor design by EMD/Merck Millipore in demonstration at this past spring’s European Society for Animal Cell Technology (ESACT) conference in Barcelona, Spain (Photo 1). It enables a single worker to place an unfolded bag in an external compartment, attach tubing, then roll that section back into the bioreactor — which then automatically unfolds/inflates the bag gently within it. So although ease of installation does not ensure bag integrity, if large disposable bags are deemed necessary to a process, there may be more handling options now than were available even a year ago. Proponents of single-use systems, especially for multiuse/multiproduct facilities, emphasize the flexibility that such installations offer. But flexibility, cautioned several speakers at the BPI Conference, should not be an end unto itself. As mentioned by Sourav Kundu (director of biopharmaceutical development at Teva Biopharmaceutical) in his BPI Conference presentation, “Design of a Clinical Manufacturing Facility Strategically Aligning Single-Use and Fixed Equipment,” the goal is to introduce flexibility into your facility based on the needs of your process and the best use of existing assets. Although a focus on supplier change notifications is new to BPI (and a major emphasis of our upcoming single-use issue in March 2016), it is far from a new concern for users of disposable equipment. One person I spoke with at the BPI Conference noted that his company has had trouble with supplier changes “even with controls that we have put in place.” Such controls include intensive qualification, change management protocols, and process/facility drawings. And generally, most companies already have raw-material qualification processes specifying the need to be notified in good time when a material changes. Are these end users correctly depending on such notification processes, or might they be oversimplifying the complexity introduced by changes affecting multiple tiers of suppliers — suppliers of their suppliers, that is? How deeply will change-notifications be incorporated into supplier chains — and outside of an end-user’s awareness or control? Common Issues: As speakers Dave Pollard (an executive director at Merck Life Sciences) and Eric Isberg (director of life sciences, Entegris) noted in their presentation, “The Management, Notification, and Documentation of Change Orders,” end users face other problems that may reinforce their reluctance to embrace single-use technologies. 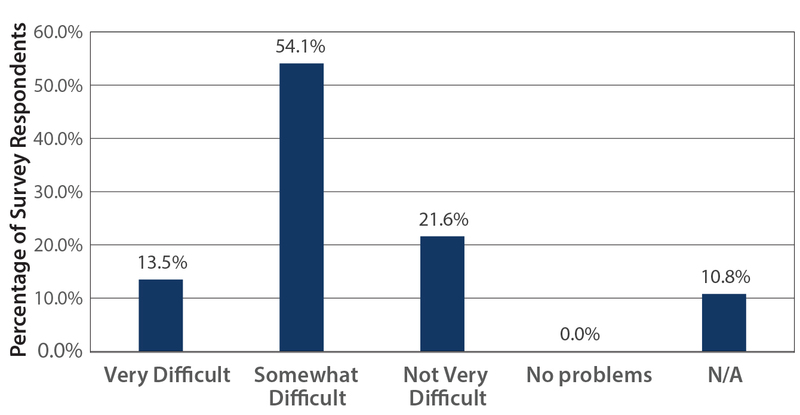 Among these are lack of time to qualify new equipment and to provide critical user input before implementation. Users also may lack time and resources to investigate minor or out-of-scope changes. Data provided do not always meet end-user specifications, but conversely, end users may not consistently communicate their expectations. End users may feel frustrated that they have no vehicle for providing feedback to a supplier, and lack of standardization may complicate incorporation of customer-specific designs. Collaborations and Complex Inventories: Some companies tell us that they do not use more than one single-use supplier — which would be the case especially if a supplier–end-user collaboration has been established. And such collaborations may be on the rise, especially when the complexity of dealing with multiple single-use components is considered. Maintaining supply chains for multiple single-use components requires managing large, complex inventories and working out configuration issues. Such complexities are even more daunting if a company contemplates transferring a process overseas. More than one person we spoke with mentioned the sobering reality of these impediments: “Supply chain concerns are magnified, customs introduces delays, and sourcing from local vendors is difficult.” Risk assessment has to incorporate material traceability as well as evaluation of local regulatory quality standards. User perspectives regarding single-use processes commonly touch on the points above, but most user-related issues have to do with training — both in installation and handling of single-use systems and in understanding how to evaluate their materials. End users are also tasked with educating regulators about acceptable levels of particulates, extractables, and leachables. As Christopher Shields (director of global product validation services at SaintGobain Life Sciences) pointed out in his user-requirements presentation at the BPI Conference, end users understand and know how to control fixed equipment in multiuse stainlesssteel systems. Those requirements and best practices have become well defined. But end users are expected to control disposable systems despite not always having the information that they need to do so. One solution may be to increase collaboration with suppliers for establishing harmonized expectations. Otherwise, Shields pointed out, suppliers end up having more control over a process than end users do. He also noted that many companies cannot use existing single-use suppliers because what’s available cannot meet their product and process specifications. Opportunities for Advancement: As many authors and speakers point out, single-use technologies are not new. 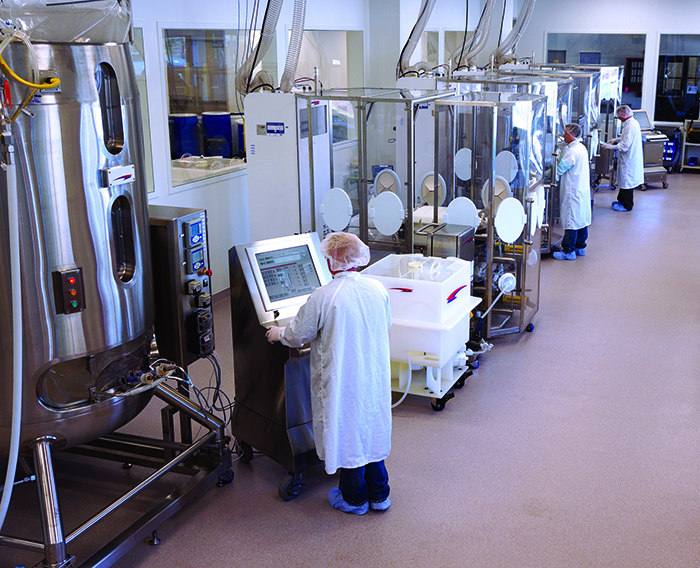 But better, more consistent communication overall may still be needed about their applications to bioprocessing and biomanufacturing, especially at commercial scales. This was pointed out at the BPI Conference by John Boehm (business unit manager for Colder Products Company and chairman of the BioProcess Systems Alliance, BPSA, board of directors) in his presentation highlighting progress in this 10th year of BPSA. 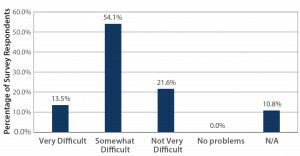 He presented survey results indicating that 67% of respondents find it difficult to find and hire workers with single-use experience and related qualifications (Figure 1). This not only emphasizes the importance of training, but suggests that reluctance to incorporate singleuse technologies may stem from concern over sustaining a workforce qualified to work with these newer processing systems. Technicians who can seek out and develop such knowledge and experience may find increased opportunities for employment within the industry. Managing Data: A key concern among end users is also how thoroughly they can rely on supplier data. They have to be confident about the information they are receiving, and they have to know how to communicate that confidence to regulatory inspectors. If supplied data do not meet expectations, and if standard practices are not in place to address user-specific design requirements, then critical process steps might become stalled if users need additional time to qualify and provide input in the face of a component change. as for scale-down processes). Users need to know how to assess failure rates, conduct gap analyses, investigate sampling methods, calibrate equipment and settings, and incorporate automation. One point emphasized by a number of speakers at the BPI Conference was that an upper-management mandate to ensure flexibility by incorporating single-use materials may place increased (and unnecessary) risk-management burden on those employees trusted with using those components. End users can find themselves managing risks of dealing with the sourcing of thousands of nonstandardized components. For each one, they must determine which levels of particulates and leachables will truly compromise safety and which are negligible. If single-use components are brought in from multiple suppliers, users may need to manage parallel investigations. This of course introduces several key questions: How many companies are operationally capable of devoting resources to such an ongoing task? Do those end users have the information they need to establish acceptable levels of particulates — and communicate those with assurance to regulators? 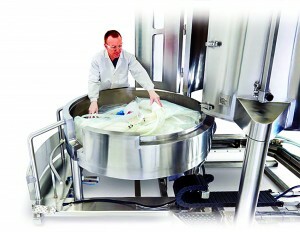 How feasible is it to encourage suppliers to adopt good manufacturing practices (GMPs)? And will suppliers truly be capable of providing materials that meet a majority of user design criteria? On a positive note, many user-related questions may be answered through the cross-training required for operating in new ballroom-style facilities. In such modern settings, technicians can move between upstream and downstream operations, even though process engineers maintain their traditional “siloed” specialized knowledge for good reason. Along with less segregation of production from process stages on the manufacturing floor comes increased understanding of technical requirements at scale. Some of us had a chance to see this demonstrated during the week of the BPI Conference through a tour of the GE (Xcellerex) facility in Marlborough, MA. 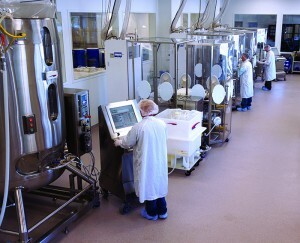 Cell growth and purification steps remain separate parts of a process, but cross-training for operations within ballroom/open designs is breaking up the former upstream and downstream “silos” at a practical level, encouraging all users to understand how one stage of a process affects another in ways not typically seen even a few short years ago. Morten Munk emphasizes the same point in his article in this issue: “End users have an important stake in helping to define constraints on desired levels of flexibility, taking capacity, resources, cost, shared complexity, and compliance into consideration.” He points out that this is not a purely design-support exercise, but also a key aspect of developing a sustainable process. Real end-user input into how and why a company blends single-use with stainless-steel components will accelerate the practical workability of different flexible design options.